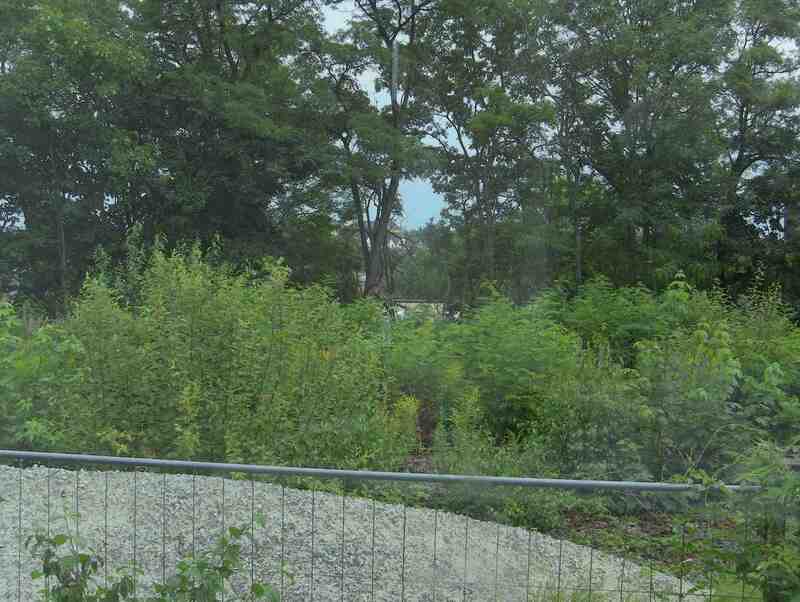 As part of Critical Art Ensemble’s (CAE) project at Documenta 13, Winning Hearts and Minds, I discussed the Hortus Malabaricus in anno 2012. This 17th century 12-volume work magnificently illustrates around 740 indigenous plants from the Malabar coast in India and explains their medicinal properties, with captions in 4 different languages. 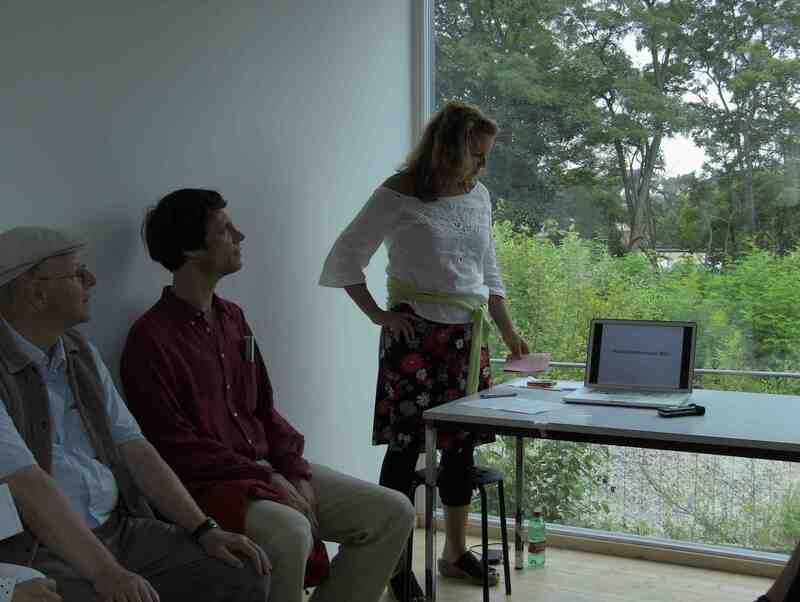 The performance/lecture took place at a house at the far end of the Hauptbahnhof, close to the railway tracks, as part of CAE’s daily lecture series at 12:00. 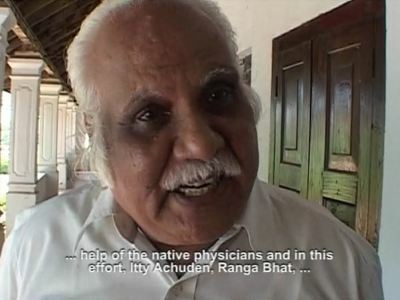 Keeping in spirit of Documenta13, with its manifold presentations of plants and ‘life’ organisms, I spoke out about the preservation of traditional knowledge and its contemporary usage in preventative medicine. I also presented my exhibitions The Unwanted Land at Museum Beelden aan Zee in 2010-2011 and The Wanted Land from 2012 in David Hall, Fort Cochin, India. 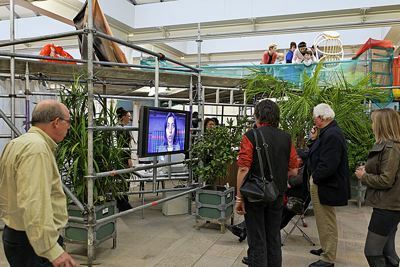 These exhibitions are comprised of video installations and indigenous plants that bring the content of the Hortus Malabaricus into the contemporary. 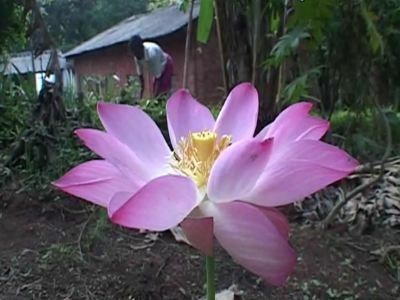 I also introduced the online platform hortusmalabaricus.net that is not only focused on the Hortus Malabaricus but on its artistic, botanical, medical and political importance in 2012. 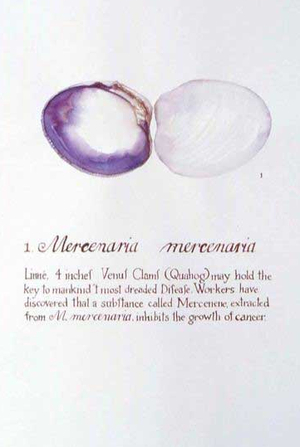 Lastly I screened my interview with Vandana Shiva, in which she discusses the potency of traditional knowledge, such as the register Hortus Malabaricus. 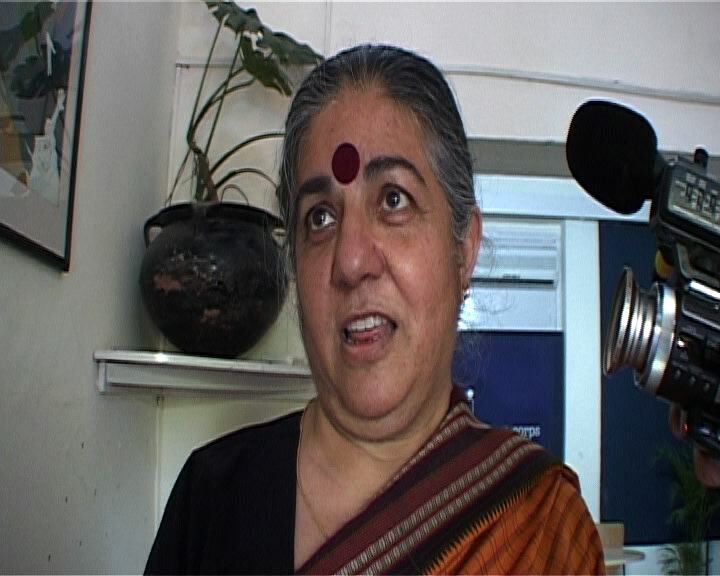 Shiva, a physicist, environmental activist, and eco feminist, based in Delhi, concurs with its usage as a ‘prior art’ in combating the bio-patent industry and furthermore spells out her own research: The importance of preventing the monopolization of seeds is articulated in her Documenta publication, The Corporate Control of Life, No. 012 in 100 Notes-100 Thoughts. 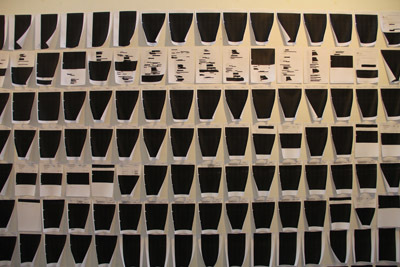 Publication, public intervention and exhibition in collaboration with Onomatopee. The past years I delved into the archives of Buro Jansen & Janssen, an investigation agency that monitors the police, judiciary and intelligence services using the Wob as one of its research tools. 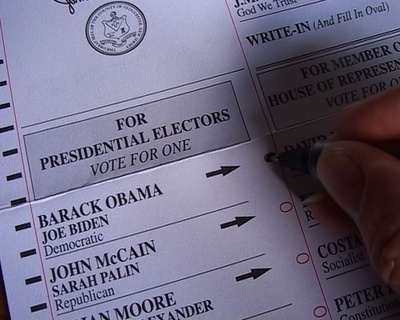 I selected various files as readymades of political aesthetics. These A4s are palimpsest —censored texts merging into newly created and visually potent images. 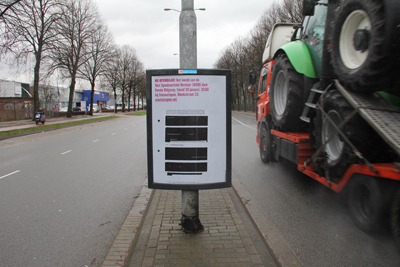 In different locations in greater Eindhoven, advertisement boards in and around the city of Eindhoven were temporarily hijacked with a Wob image and the announcement for the exhibition opening on January 20, 2012 at Onomatopee. located in the Region of Murcia, Spain, focusing on a dialogue with Northern Africa. At the invitation of one of the chosen curatorial teams, Chamber of Public Secrets (CPS), we produced a 10-minute TV programme for Canal 7. 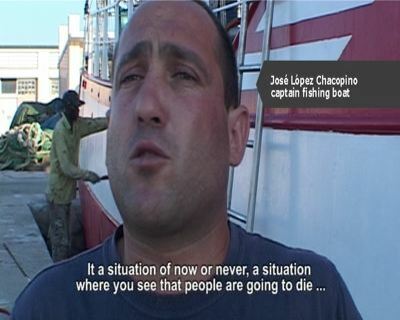 Entitled migrating democrazy and made in collaboration with documentary filmmaker Rick van Amersfoort, it was also presented within the exhibition venues in Murcia at the Media Lounge and Cartagena at the former prison. During a research period this summer and with the assistance of Abelardo Sainz, we interviewed the local residents in the region of Murcia, Velez Blanco, and especially the neighbourhood El Molinete in Cartagena. Anecdotes about their own family histories, ranging from the Spanish Civil War to unresolved boating deaths, migration traumas and border controls all reflect the current state of affairs. migrating democrazy shows diverse modes of participation and action, between parties large and small, known as well as unknown. If one were to reflect on the migration of democracy and the manifold definitions of what democracy actually means we come to a paradox of movement and standing still. Some of us can move freely without much trouble, others cannot and are sometimes even imprisoned for having tried to ‘migrate democracy’. 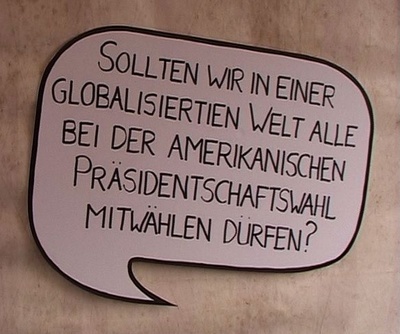 Or rather migrate democrazy- it is like a gadget everyone wants to have but it is like a foreign language in the mouth, poisonous because of the lack of control in the production process. Addressed by the protagonists themselves, migrating democrazy can be seen as a frenzied cartography of the perception of borders. It begins with the ‘art of traveling’ with boat refugees coming from Africa to Europe, escaping a lack of a future and capitalist induced poverty whilst going to the source. With the ‘art of economy’, cheap workers from all over the world work for low costs in Spain. Uitilising the ‘art of surveillance’ and the ‘art of war’, Frontex is the new frontline machine in the war on migration, with its Indalo operation. The ‘art of smuggling’ is the very blurred line between criminality and humanity, in similar quotation between humanitarian warfare and welfare. 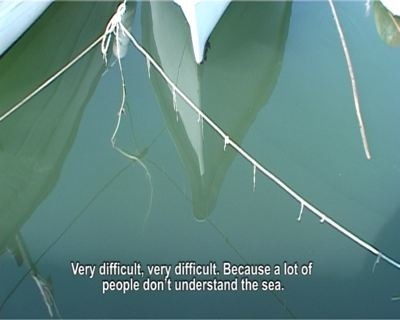 The ‘art of humanity’, in which civilians help/support migrants across the Mediterranean sea connects to the ‘art of hospitality’, where people give others shelter, or work and take care of them. Lastly the ‘art of dying’ surfaces, in which bodies float on the sea and wash ashore. 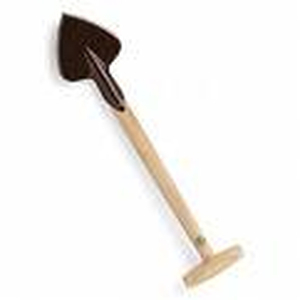 Beaver, Wampum, Hoes has been launched! and is an online, multimedia platform that focuses on 400 years of Dutch colonization in NY. It uses the 17th c. trade triangle (Beaver, Wampum, Hoes) as the thread that weaves anecdotes with facts in an attempt to ask broader questions about the affects of colonization and the largest imminent questions (land) concerning taking account of this history. In the 21st century beavers are back in town, Native American casinos provide an alternative yet controversial signature of financial support, hoes a homonym comprised of European goods as well as human commodity. Beaver, Wampum, Hoes measures accountability through a heterogeneous, collective exchange system. On September 20, 2009 at 15:00 I will be doing a walking tour called Wampum Trail of lower Manhattan, starting at the National Museum of the American Indian library. Please join me if you can, rain or shine. 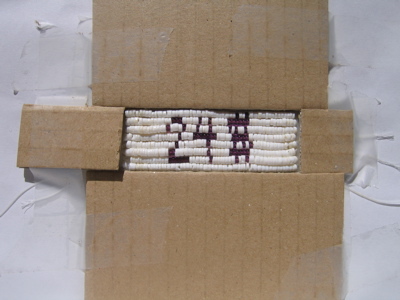 Wampum Trail: Can historical commemoration such as upcoming Dutch 400-year events be subverted toward a more radical relationship to historical research and cultural practices as a way to undermine and resist dominance in the present? If you take the New Amsterdam Trail tour you are asked to listen, walk and follow but also to lunch, shop and experience the dynamism and renewal of downtown today. This walking tour asks instead to pause, look and reflect while rethinking the former Dutch colonization of NYC. This peripatetic tour in a way exercises psychogeography by walking backwards, so to speak, through time but also looks at present day NYC in regard to its colonial history that hasn’t been written down in the history books. Rather it combines facts with anecdotes and oral history passed down by generations of Native Americans living in NYC today along with reinscriptive historic perspectives. We will begin at the library in the National Museum of the American Indian, moving on to The Netherlands Monument at Battery Park, passing by The American Indian Community House, then crossing to Beaver Street. We will make stops along Pearl Street, the former water’s edge of Manhattan, and continue via Wall Street (the Dutch are credited with inventing the stock market). Broadway takes us along City Hall, over to the Bowery, finally ending at Astor Place, (Kintecoying), a former sacred gathering place. Afterwards, those who are thirsty can jump on the subway and end with a bout of Dutch courage at the Dutch Kills bar in Long Island City. Museum De Lakenhal and Scheltema in Leiden, the Netherlands announce the exhibition Holland Mania from May 16th to August 31, 2009. Eight artists are invited to reflect on the American and Japanese pictorial image of the Netherlands. The most recent instalment of my Manhattan Project looks not only at 400 years of Dutch colonial settlement in the United States, but the city of Leiden- 400 years after the Pilgrims settled and eventually departed to the new world. What types of images are conjured up through literature, historical texts, remnants of the past and oral traditions? Using the museum context as a background with its collection of historical exhibits, prints, paintings and objects, this series of works gathers a range of perspectives in regard to constructions of identity, in the form of ‘Dutchness’ as well as contemporary Wampanoag peoples. Imagery consists of a Pennsylvania Dutch quilt designed by the Amish yet composed from the Dutch and American flags. 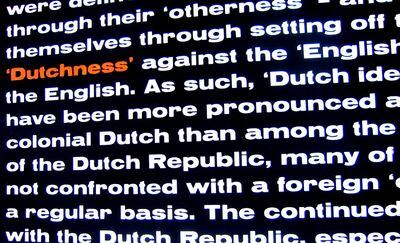 Dial Dutchness is an installation throughout the museum incorporating Leiden telephone book pages and eight multi-coloured PTT T-65 telephones with audio tracks from locals as well as Americans with Dutch last names. These ‘vox populi’ voices are contrasted in Pillars of Orange-expert opinions presented as literary silk-screened excerpts from literature, music and academic texts as if for an imaginary book on ‘Dutchness’, contrasted by real books from the secret Pilgrim Press. In the chapel of the museum the installation Wampanoag uses the existent paintings and objects as a staging for two drawings and a single channel video projection where the Wampanoag do not re-enact but rather answer specific questions regarding 17th century conventions, oral histories and the contemporary usage of wampum. 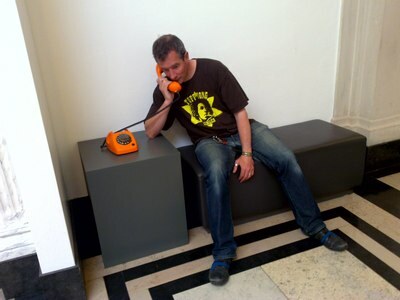 The museum has also kindly offered me a studio during the exhibition as an impromptu call centre in which to continue my Dial Dutchness installation as well as work on my forthcoming online platform Beaver, Wampum, Hoes. Please let me know if you plan on coming to visit or if I should call you instead. For those Dutch readers the Holland Mania website. This week we’re excited to begin 2009 with an event that takes up the 400th anniversary of Dutch colonialism in what we now know as New York City. This event also arrives, with more specificity, as the long-awaited answer to the origins of the Beaver in Beaver Street. So, we welcome Renée Ridgway and Sal Randolph, two artists/other professional things who have been a part of past discussions and events at Beaver, as well as welcome back David Graeber, to discuss research, concepts, and projects addressing the historical transformation of gift economies into commodity economies, including debt, that made capitalism possible. Finally, it should be made clear that all of this work seeks to address contemporary New York and beyond by thinking through the current financial crisis, debt economies, and alternative systems of value. wampum with the indigenous population living on Long Island, the Narragansett. They then traded the acquired wampum for beaver pelts with the Mohawk, part of the larger Haudonausaunee (Iroquois Confederacy) or Six Nations. Beaver, Wampum, Hoes is an online, multimedia platform that focuses on 400 years of Dutch colonization in NY. It uses the 17th c. trade triangle (Beaver, Wampum, Hoes) as the thread that weaves anecdotes with facts in an attempt to ask broader questions about the affects of colonization and the largest imminent questions (land) concerning taking account of this history. In the 21st century beavers are back in town, Native American casinos provide an alternative yet controversial signature of financial support, hoes a homonym comprised of European goods as well as human commodity. Beaver, Wampum, Hoes measures accountability through a heterogeneous, collective exchange system. Beaver, Wampum, Hoes is the latest installment of Ridgway’s nine-year ‘Manhattan Project’. Frequently involving audience participation along with the physical and intellectual recycling and reinscription of historic as well as contemporary positions, this project investigates the commonalities between the Netherlands and the U.S. Presented in public spaces and using an extension of this methodology on different materials/subjects, such as deerskin, flags, tulip bulbs, money/investment, speech, beaver, wampum, hoes, silver and gold, all are ‘killed’ and reconstituted as raw material that is particular to the colonization of North America. The ‘Manhattan Project’ may be seen as a kind of contemporary barometric reading of the cultural, economic and political relations between these two countries. While I was in Philadelphia doing research at the Library Company for upcoming projects in 2009, I also was working on my residency at Basekamp, a space for collaboration in contemporary practice. On September 16, 2008 I presented n.e.w.s. Three of the contributors to ‘n.e.w.s.’ joined the presentation live on Skype: Prayas Abhinav from Bangalore, Stephen Wright from Paris and Mia Jankowicz from London. Prayas, Stephen, Mia and I gave feedback on how we use n.e.w.s. while Aharon, Scott and Basekampers joined in with some critical and insightful feedback about not only using Drupal, but in general how n.e.w.s. can be more negotiable. We tried to answer the questions from other contributors as well. We might have to wait for either time or money to get everything done that was suggested but it was productive. Here is my summary on the n.e.w.s. 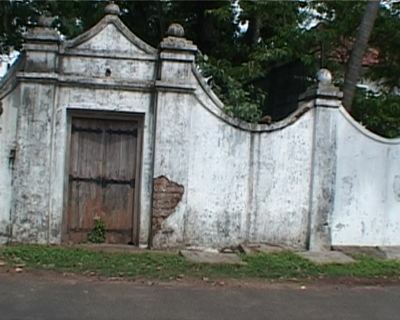 site. Also, we are developing the ‘Plausible (Art) Worlds’ project, n.e.w.s. and Basekamp and we will be discussing this collaboration in the near future. In the meantime here is a beginning with Stephen’s text. Please check out the n.e.w.s. website as it is growing – if you feel so inclined you’re welcome to leave comments there (commenting requires registering on the site) but you just need to sign up as a user with a valid email address. I was also fortunate in my timing to see the ‘Black Founders’ exhibition at the Library Company. 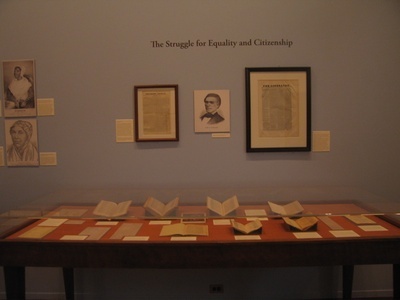 The ‘Black Founders: The Free Black Community in the Early Republic’ exhibition included manuscripts, books, prints, etc. and organised the archives through these headings: Slavery and Revolution in the Atlantic world, Emerging Slavery Movements, Emanicipation in Pennsylvania, Independent Black Churches the Christianity of Freedom, The Struggle for Equality and Citizenship, Abolition Day, The Enterprising and Talented, Colonization, Emigration and Identity. Curated by Phil Lapsansky. 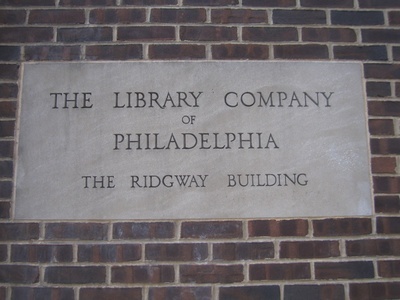 The Library Company of Philadelphia is an independent research library specializing in American history and culture from the 17th through the 19th centuries and has one of the most comprehensive collections on African- American history. The Library Company is America’s first successful lending library and oldest cultural institution. It was founded in 1731 by Benjamin Franklin as a subscription library supported by its shareholders, as it is to this day. n.e.w.s. is a horizontally-organised, cumulative knowledge-based website for contemporary art and new media framed by curatorial contributions from around the globe, bringing together voices and images from North, East, West and South. n.e.w.s. reflects geographic diversity and facilitates a framework for collaboration, content and visions of change outside the normal parameters of the established art world networks. Contributing curators and n.e.w.s. representatives will talk about building the platform, the way content is determined through curatorial positionings, and further collaborative tactics. Contributors: Ade Darmawan/Ruangrupa, Ingrid Commandeur, Thomas Berghuis, Inti Guerrero, Mia Jankowicz, Rich Streitmatter-Tran, Mustafa Maluka, Stephen Wright, Yuliya Sorokina, and Branka Ćurčić/Kuda. Moderators: Lee Weng Choy/The Substation, Renée Ridgway/n.e.w.s. A tool for distributing immaterial resources and intellectual goods in an era of diversification, n.e.w.s. attempts to initiate, build and foster relations and provide a valuable portal dedicated to cultural bricolage, enabling less seen artistic endeavors worldwide visibility. n.e.w.s. structures contributions in the form of Web 2.0 technology: a blog/archive (images and text), along with a wiki-like ‘books’ (collaborative writing), tagging (shared vocabulary) and polling. Content is curatorially determined: images, texts, podcasts and links provide information in the form of documentation of previous works or new media online. Open-sourced, collaborative action and authoring are not only encouraged but also are integral to n.e.w.s. along with a community developed event calendar and database. Building upon shared knowledge and past references, contributors engage with each others’ practices. Multilingual translation, tagging and commentary will eventually contextualise the contributions and open up new possibilities, collaboration in the form of further projects as well as producing printed multilingual publications. Comments and user feedback welcome! Please add your events to our calendar or subscribe to our mailing for further projects and announcements.